Powered by NetEnt Magic Portal is the interesting UK based online casino slot game which transports the players to the world of wizards and warlocks via unseen passages. Magic Portal Slots are a 5 reel game with 25 fixed bet lines and a Jackpot win which can be scaled up to 64000 coins. A mystic and magical atmosphere are created with the skillful crafting of symbols and graphics. Available widely across the web-based platform the game is compatible with Mac and Windows users. As a part of the NetEnt touch, mobile software package game can be availed on IOS and Android mobile devices (no download required). Fantasy fiction and fantasy sci-fi enthusiasts are sure to be kept entertained with the variety of graphics in neon and vivid colors. The gazing balls, crystal balls, and plasma balls add the necessary charm to the game making the wins wild and mysterious. The Play free Magic Portal casino slot machine features wilds and magic portals which work collectively on the wheels to create more payouts. Appearing like glowing circles magic portals appear on the 1st and 5th reels in the middle row. The highest paying symbol in the game is red sorceress with the wizard and blue sorceress in quick succession. Mystical things happen when certain symbols appear inside the portal. The game offers up to 10 bet levels and 5 coin values to its players ranging from a penny to a dollar. While the coin value increases the value of coin one bets with, the bet level is the number of coin one wishes to bet per line. The most interesting aspect of the game is the wild substituting for any symbol to complete a winning combination barring the free spins symbols. Multiple winning combinations can be created when two identical symbols appearing on the magic portal reels either regular of free spins mode transforms into wilds along with all other matching symbols on the wheels turning to wilds. The game forwards abundant opportunities to win- 10 free spins are triggered when two free spins symbols stop in the magic portal and more free spins can be earned when free spin symbol stops in the magic portals during the free spins mode. When two additional magic portals appear on the reels during the free spins it amounts to more possible wins and free spins. During the regular game, the Magic portals are located at reels 1 and 5. In addition to this during the free spins around 2 extra portals are added to reel 5. Play free Magic Portal casino slot machine is not only a game which promises to forward high chances of winning but it is a game which suits a wide range of online betting with the lowest bet costing of 2.50 and the highest bet having a coin value of 250. The player can have a clear idea of the game with payouts, bets, and player cash being explicitly displayed across the bottom of the gaming screen. Magic Portal Online has a simple yet remarkable feature which is the ticker bar that displays tips and reminders on the features of the game. It displays the wings as well as it helps the player keep a track over the payout amount. Having an idea about the payout amount helps the player too quickly compared to the best placed to have an idea about the profit made. These are some of the details that contribute towards making NetEnt design useful, creative and sets them apart in the league of competition. 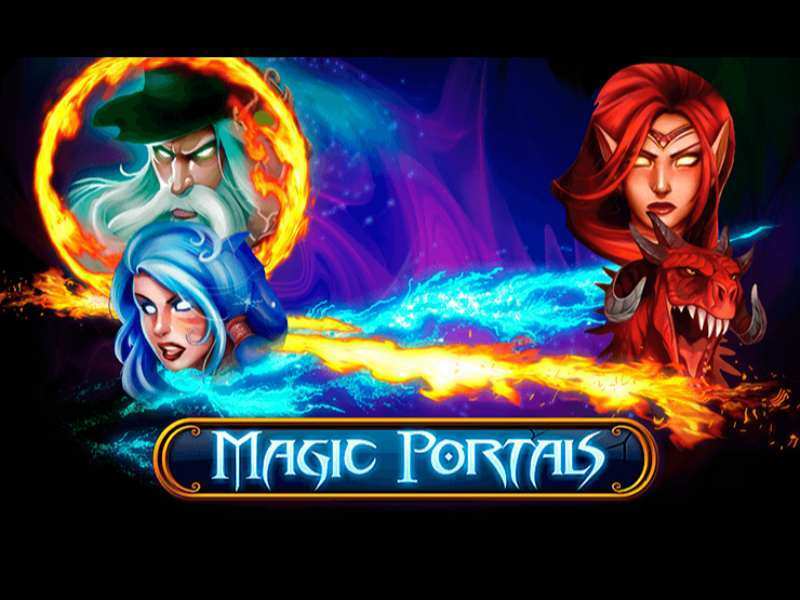 Magic Portal is a fun and best entertaining game powered by the theme of mystery and wild adventure. Ranking in as one of the best casino games in the UK the game enjoys huge popularity. NetEnt’s slot game is a high standard quality, graphics, and playability. The game forwards an array of options from autoplay to full-screen mode and multiple free spins. Despite the simple 5 wheel and 3 reels structure, the game is heavily hyped for its bonus mechanics and promising payouts. Magic Portal Online has created a specific niche for itself in casino gaming. The world of dragons and wizards is replete with several winning opportunities without betting a fortune, it is a game well suited for both beginners and regular players. 0 responses to "Magic Portals Slot"